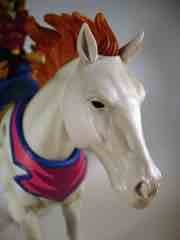 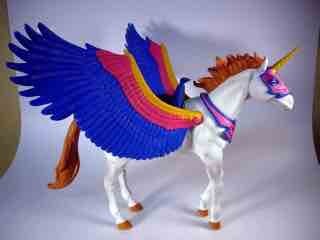 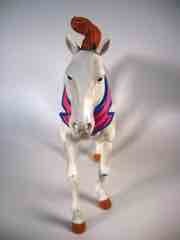 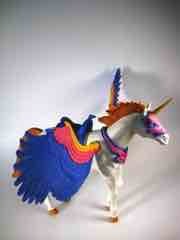 Beautiful Horse, Spirit, Becomes Magical Flying Unicorn! 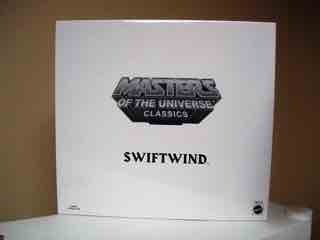 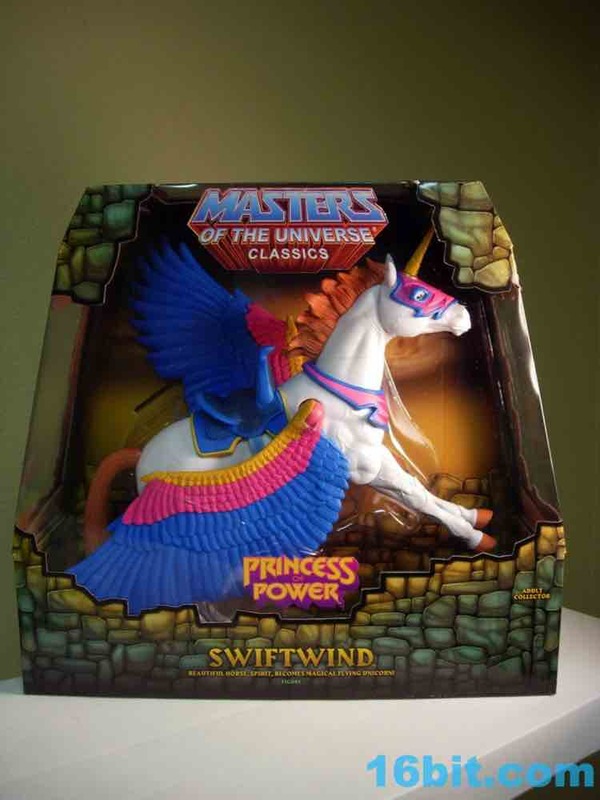 The Masters of the Universe Classics line tries hard to give something to all fans of all corners of the property, so seeing a tooling-intensive character with limited appeal like Swiftwind being made shows they're really trying to make people happy. A rather large horse with giant wings and over 15 points of articulation is no small feat, and the sculpting is fantastic. 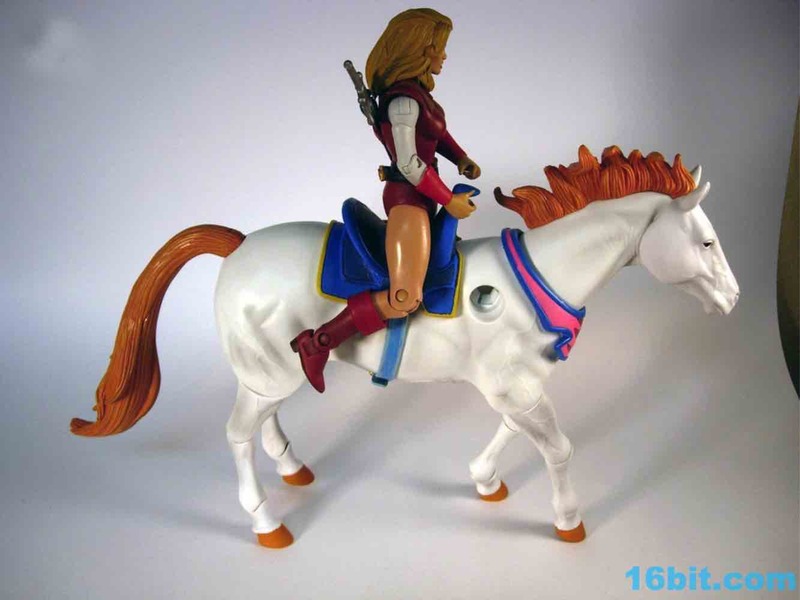 Now I don't collect Breyer horses, but I have to assume this is on par or better given a) She-Ra can ride it, and b) it's loaded with detail like muscles and veins. 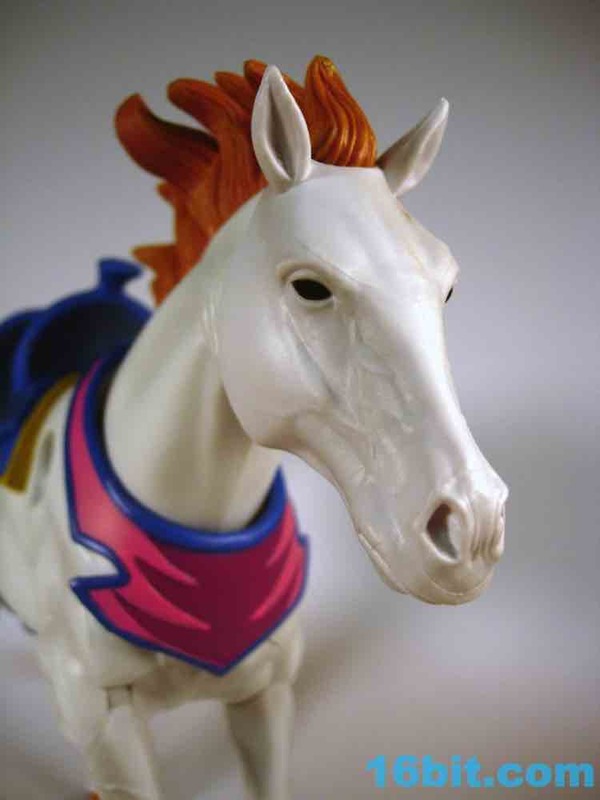 It feels like he got more love and attention than Battle Cat! At about 8-inches tall not counting the horn, Swiftwind is large, and long. 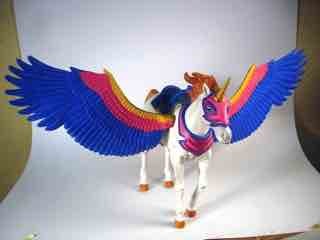 Assembly is easy - plug in the wings and you're done - and he stands quite nicely. 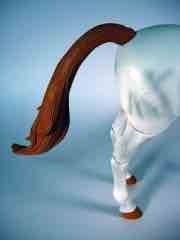 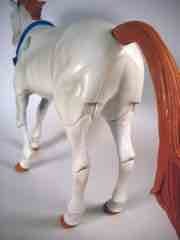 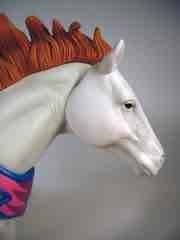 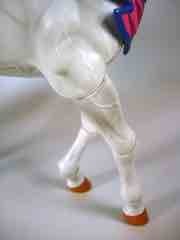 More than one point of articulation in the head is a nice bonus, and the moving tail is necessary and welcome. His color scheme is based on the cartoon series, so he's white rather than pink. As a stand-alone toy, everything goes where it needs to. 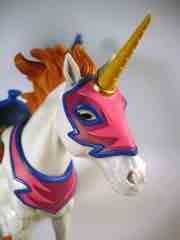 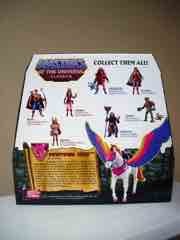 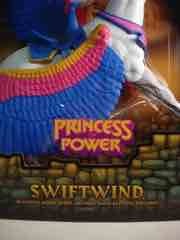 Unfortunately, Swift Wind is as much an accessory for She-Ra as he is his own character. 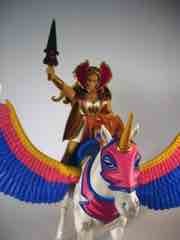 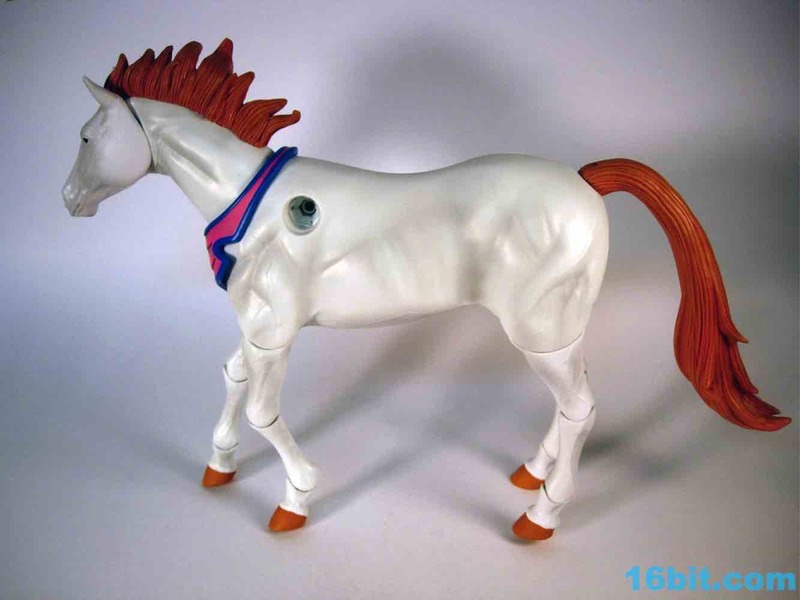 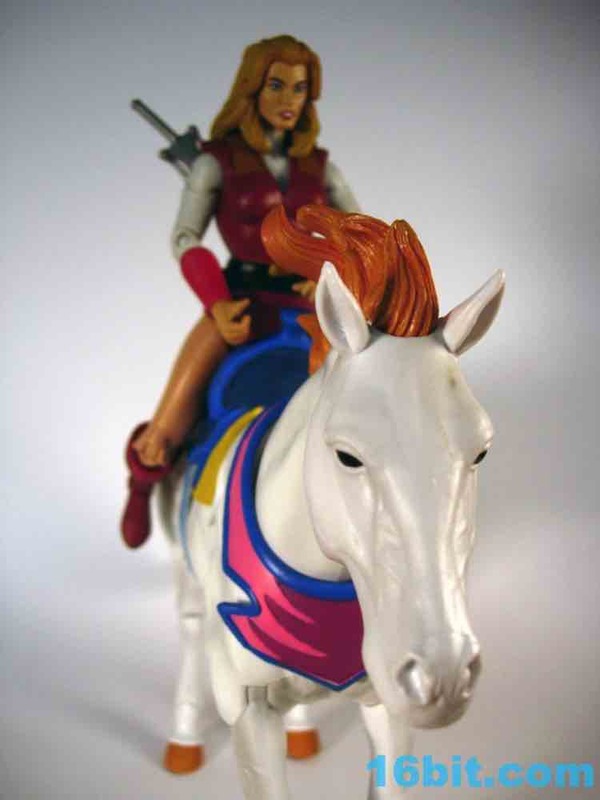 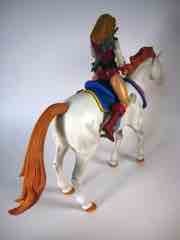 The initial She-Ra action figures were not designed to straddle a horse, so in November 2011 when Swiftwind came out, Mattel also released Bubble Power She-Ra and she can sit on him. If you have a standard and a Bubble Power She-Ra, you can swap parts between them to make a super-articulated "Classic" She-Ra, which works, but it's unfortunate the figure just plain wasn't designed to fit in the first place. As bang for the buck goes, the toy is ridiculous - you absolutely get a lot of plastic for $30, and this was back when figures were still around $20. The paint on the feathers is remarkable, and the feather sculpting is so intricate that you feel like you're stealing from Mattel and the Four Horsemen by buying one. 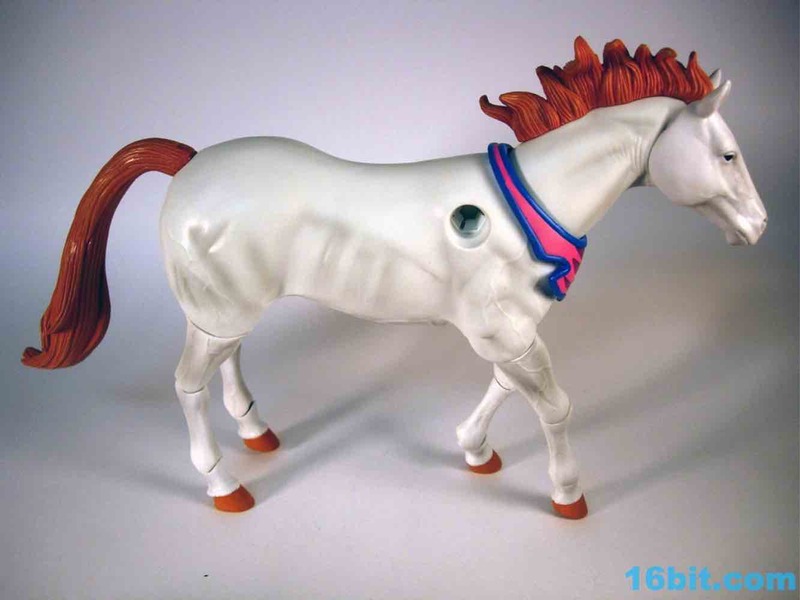 And on the other side of the coin, it's a pink and white horse, remade from a doll line, inserted into an adult collector action figure line for (in theory) adult men. 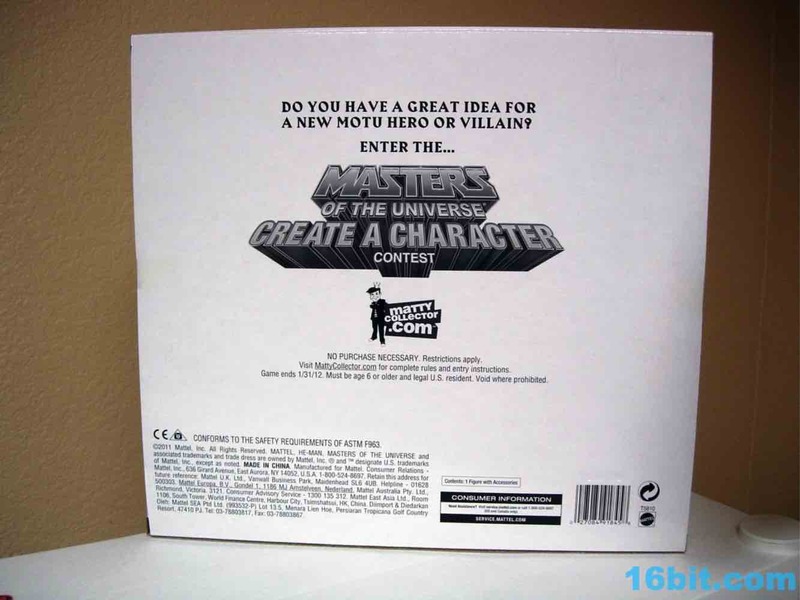 As such, it's a strange choice and something of a sign of Mattel's business savvy and fans' inability to reject things with an all-in subscription. 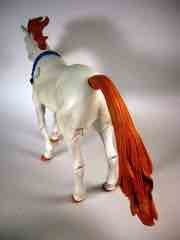 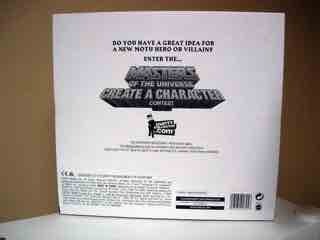 If one wasn't mailed to me I wouldn't have elected to buy it, but I'd be lying if I said I wasn't impressed by it. 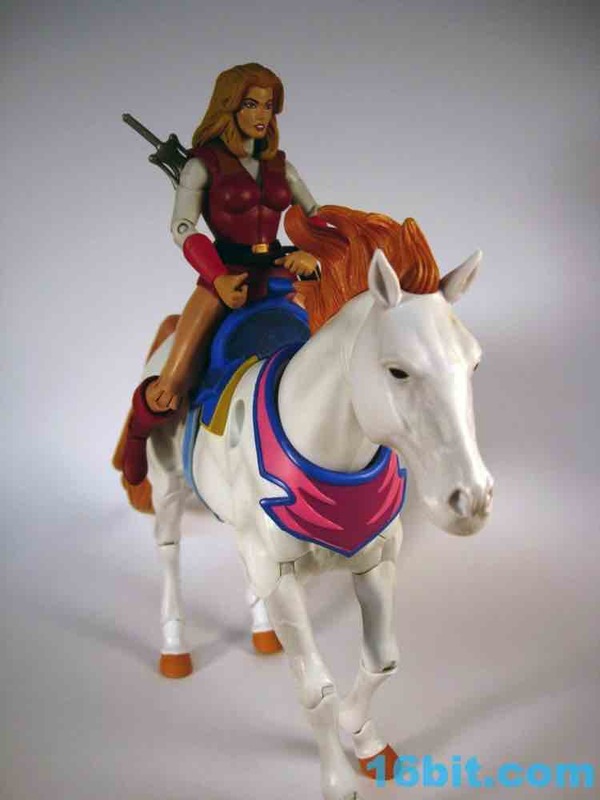 I don't care if you don't like She-Ra stuff, this item is worth taking a good, hard look at just because the craftsmanship is great and let's face it: you probably bought She-Ra and Adora anyway.